She is the last of her kind in the USA and on the National Register of Historic Places, to understand why, see her history page. See our Visitor Info page for full access details and directions. The NYC Ferry stop for Red Hook is a few yards away. The main deck is open for TankerTime on weekdays 10-6pm, and weekends when the staff is here (eg, often during the day, but not a set schedule. Please volunteer if you want to help us extend the hours of TankerTime). Evening Second Sundays Sunset TankerTime on the Second Sundays of June, July, August and September, 5pm - midnight. as a landing - other boats can tie up alongside like our partner vessel LOUIS C.
Listen to an audio tour about the ship. The tour is broken into short segments of 2-3 minutes in length, most of them associated with specific spaces on the ship. 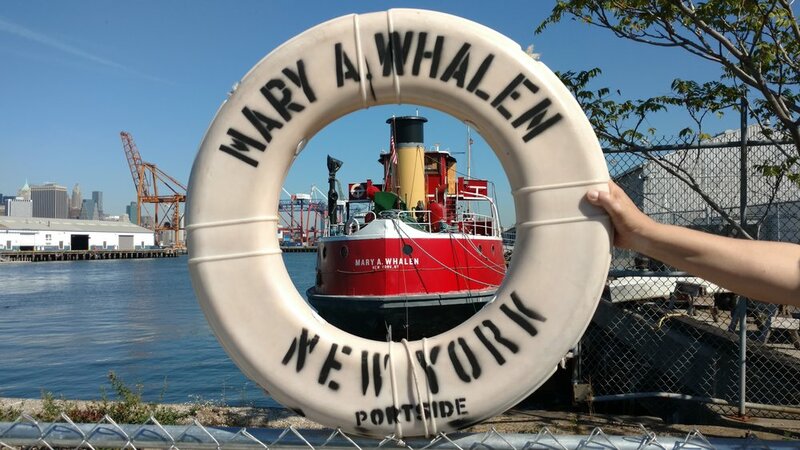 A written guide to the MARY A. WHALEN is also available on the page in several different languages. Since the MARY A. WHALEN worked so long (1938 to 1993) and over such a wide region (the whole northeast) she is a great vehicle for teaching various subject areas. We customize our ship-based programs and make vivid, experiential educational experiences:. 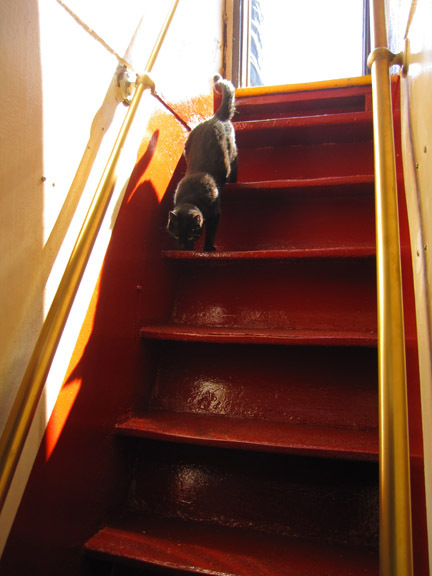 Our ship cat Chiclet has her own webpage. Thanks to our maintenance sponsors and partners! The exterior of the MARY A. WHALEN is being restored in large part with labor from the painters' union District Council 9 which is using the ship as a training site. We give them a site, they give us labor, and we partner in training union labor. Local 806 works on painting the exterior. The Metal Polishing division strips and polishes bronze and Monel metals. The Commercial Division painted the galley. The exterior paint is thanks to a generous donation by International Paint.